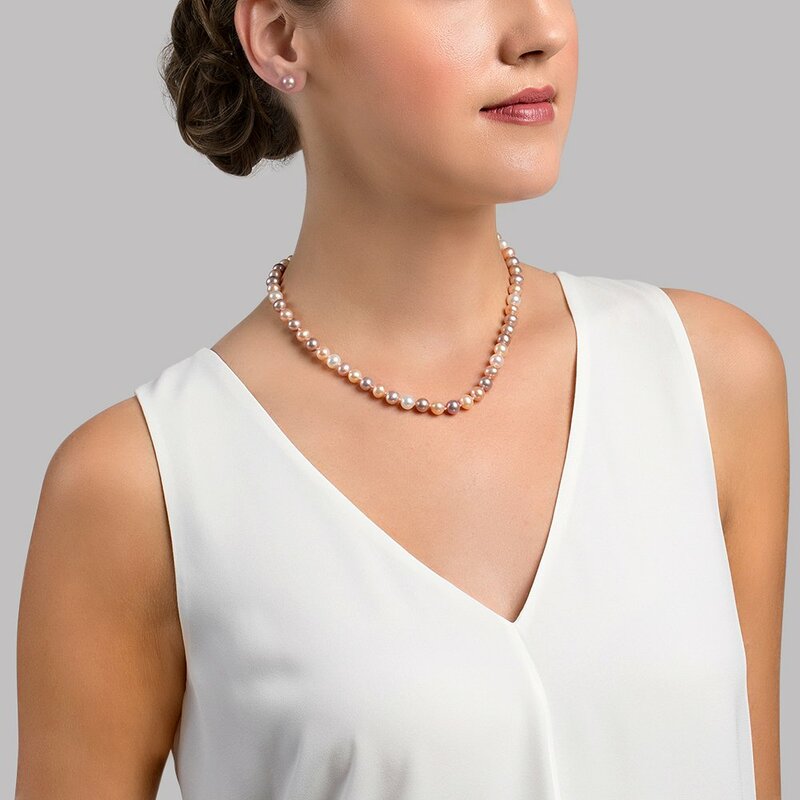 This necklace is a gorgeous 7-8mm Freshwater Multicolour strand that includes a gorgeous variety of colours including lavender, peach, and white. 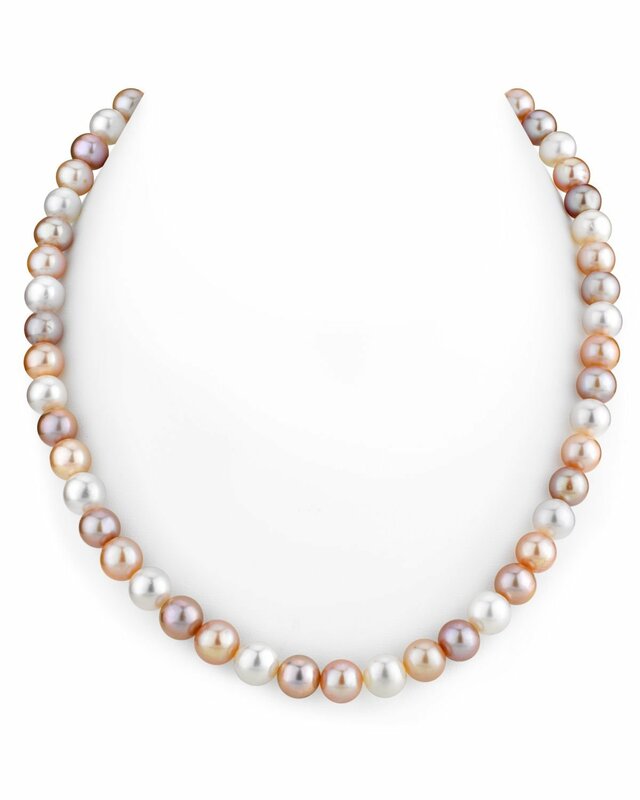 The necklace includes AAA quality pearls with 'Very High' lustre, our highest grade in every category. 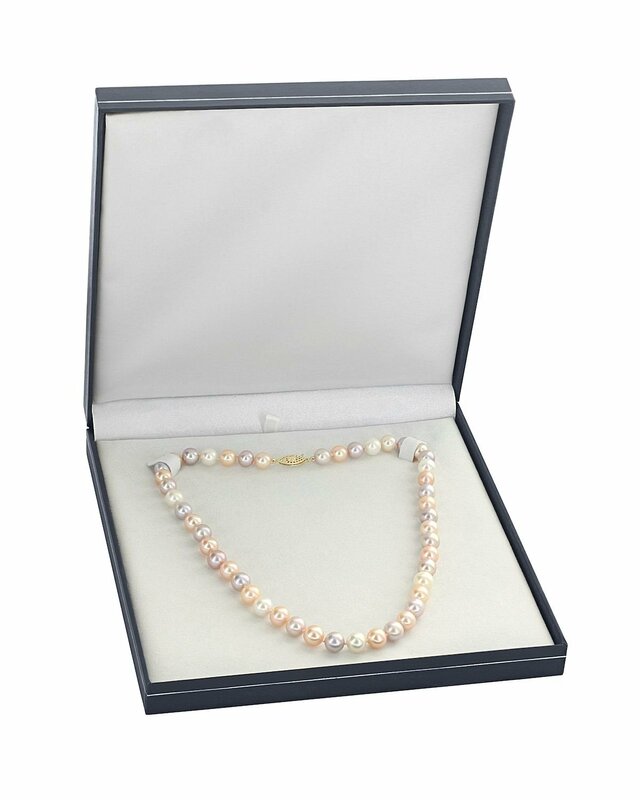 The strand is affixed with a clasp of your choosing. If you have any questions, feel free to call us anytime at 1-866-87-Pearl (1-866-877-3275). Very nice necklace. Nice coloring and good shine. I&apos;m sure my wife will love it. Not sure that I chose the proper length but it will look good on her at any length. Elegant, beautiful. I bought this for a gift, and I was proud to give it. It is a good representation of the love I have for the lady who will be wearing the pearls, at her fancy job.